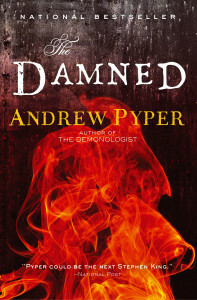 Here’s the trade paperback cover design of The Damned that Simon & Schuster has come up with for Canada and the U.S. I really like it. But then again, I’m the sort who can stare into a fire for hours, seeing faces and figures jump out from the flames. Which makes this cover a treat both for those pondering the underworld and pyros. The US paperback is here! (And it will be out everywhere else March 11). 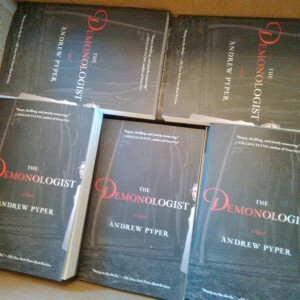 The Demonologist a Canadian Bestseller in Paperback! I am thrilled to see The Demonologist is back on the Globe and Mail Canadian Fiction bestseller list, this time in its paperback edition. Even more thrilling is that it’s at #3 in its first full week out! So no, it’s not really what you’d call warm and fuzzy (though it is ultimately about different kinds of love, in deeply twisted ways). 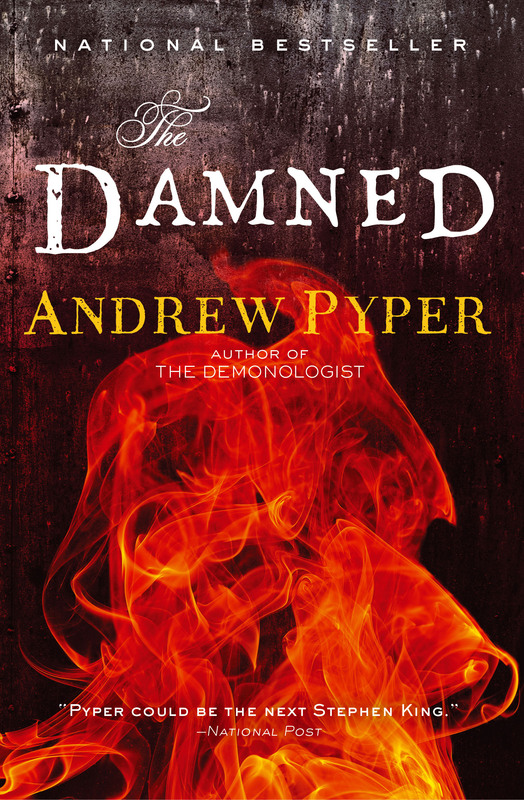 You can read the teaser opening pages of The Damned at the back of the Canadian paperback of The Demonologist that’s out now, as well as the US edition out in March. 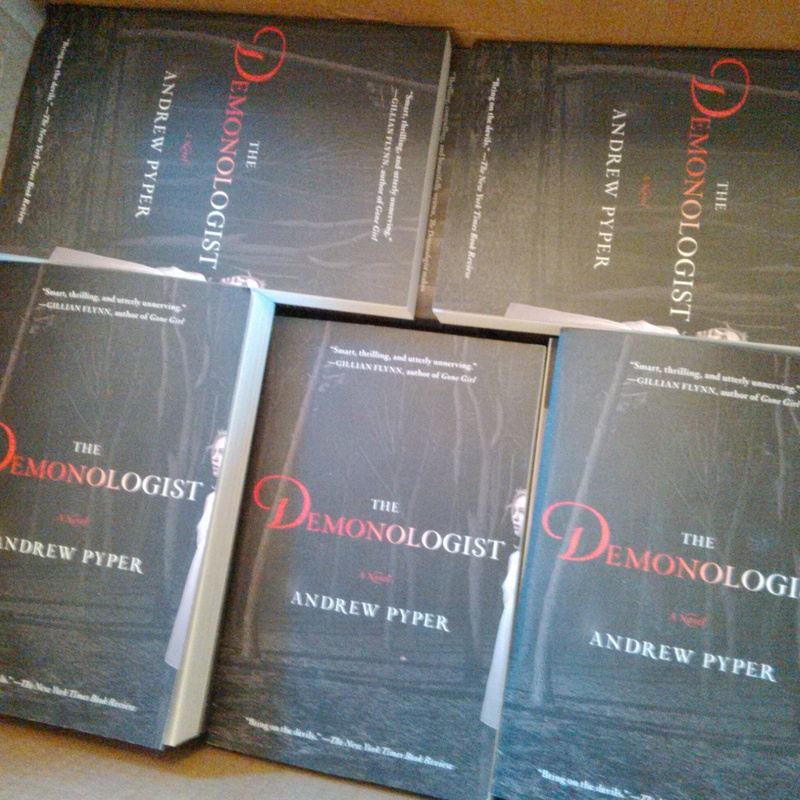 The Demonologist Paperback Out Today Canada-side! As most of North America huddles beneath blankets and leaves well-crafted excuses at work explaining how they can’t come in today, The Demonologist paperback is published in Canada! It’s an exciting way to start a new year – not just because it’s a new edition of the new book, but also because it’s such a beautiful wee document. If you haven’t seen the cover yet, click below to witness the artful creepiness. Happy New Year, Demons and Angels All! The trade paperback edition of The Guardians is available in stores and on-line (and everywhere else) in Canada and the U.S. on September 13, and though this announcement comes a day early, you can go to your favourite bookseller and politely hound them to bust open the boxes if they haven’t already (or order the damn thing if they neglected to). Trust me: booksellers love being hounded. I am especially psyched about this edition because it feels so good. You know that slightly rough, grippy paper they use on paperbacks sometimes? It’s got that. And the spooky house on the cover is just right. And my name – though large – isn’t James Patterson-sized. And the red foil on the title does a shiny thing when you turn it around in the light. And…I just like it. Which is not always the case with a book’s design. Despite everyone’s best intentions, covers can sometimes turn out a bit turdy. Not this one, my friends! So hit the streets or hit the web and check it out. And if you decide to purchase this thrilling and edifying cultural product, you have my gratitude and undying loyalty. With the paperback publication of The Guardians set for September 13 in Canada and the US, and with the UK paperback due early in the new year, I’m presently enjoying the my-work-here-is-done process of viewing, tweaking, and signing off on new cover art and text for the reprint editions. 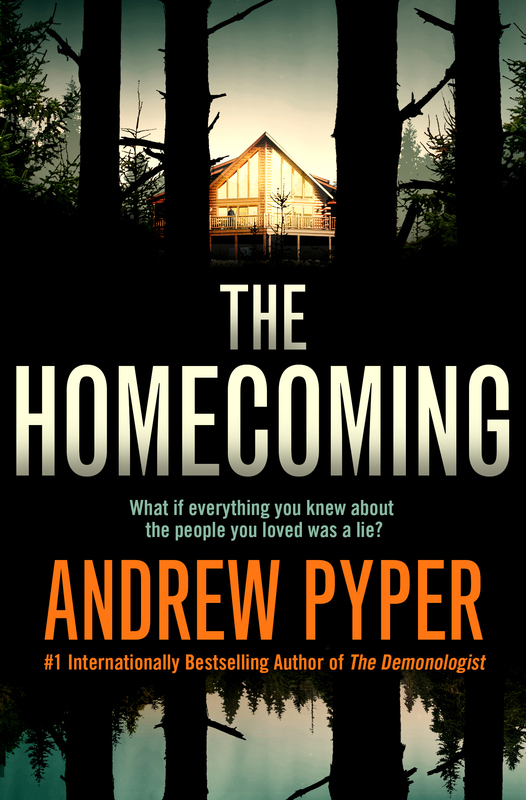 There are haunting new images for both the North American and British covers. And there are also some reviews that have come to my attention that I missed the first time around. One of them boosted my spirits enough (and I needed the boosting, as I’m getting deeper into the uncharted waters of my new novel) that I felt I would indulge myself in blurbing it here. It appeared in the UK’s Mail on Sunday.